We're on the road and headed back to the States! We were doing great on time by leaving our campsite earlier than expected, but we had a little delay getting across the border because there was only one lane open. We stopped in Tucson, AZ where we said goodbye to Amy, Emma, Eliza, and Ashton. The days travel took us twelve hours and we arrived at the hotel at 8pm where Nick took the seniors out for dinner. Everyone has had a great week, but we are all looking forward to coming home. UPDATE: they are almost to Abilene! After building a double house in a record three days, we presented keys and a Bible signed by all 32 of us to the Dominguez family. All present were overjoyed and humbled by the experience. The family wants to keep in touch and requested to serve us lunch next year. We will invite them to our camp dinner next year. 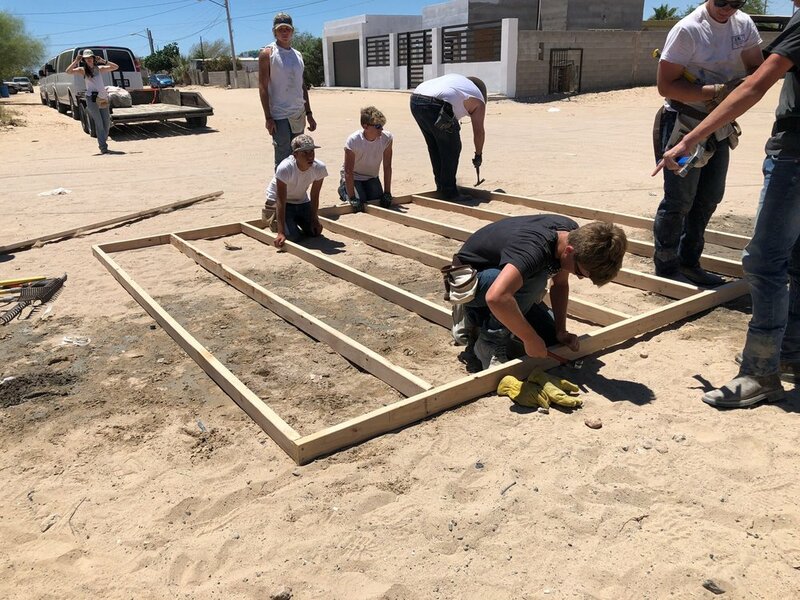 The swift build earned the team some R & R at the beach where one of our students was baptized and another had a conversation that led to accepting Christ as their Savior. The day ended back at camp with moonlight tacos, camp fire, and s’mores. Days don’t get much better than this! Early rise tomorrow to break camp. Blessed and thankful. Remember that time we took a trip to Mexico to build a house for a lovely family and then finished a whole day early? No? That's because we just did it for the first time! Everything is done and we all are in awe of what God has done through us this week. Today was a great day. We put in all the doors and windows and then spent the rest of the day applying two coats of stucco. In between working hard, we played soccer with the kids at the house and ate an amazing lunch of homemade ceviche. The family made it for us and it was honestly the best many of us had ever eaten. We are about to eat some dinner, play some games and then recap our week and talk about what God has been teaching us during our time here. Tomorrow we will hand over the keys to the Dominguez family and hit the beach. This has been an amazing week and i can't wait for you to talk with your kids about it! The roof is on, the wire is wrapped and we are ready for stucco! Today was a full day with a lot of results. This house is going up quick and we are amazed at how well these kids are working together. We had a good time in the word over lunch and these kids are being challenged to take this wonderful selfless, sacrificial attitude home and continue to live this way all year round. 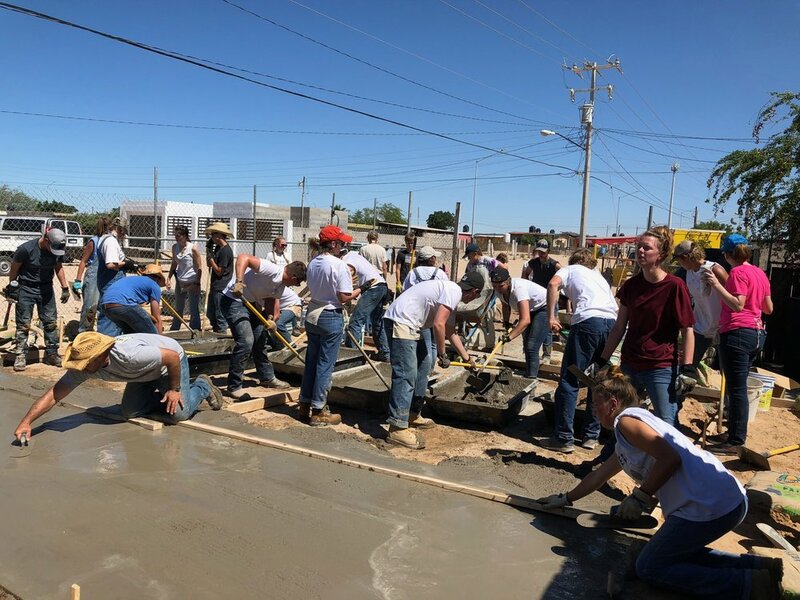 While they can't build houses every day, we talked about how there are always things we can be doing to put other's needs first and live as Jesus called us: the light of the world! They said it couldn't be done, but we did it anyway! 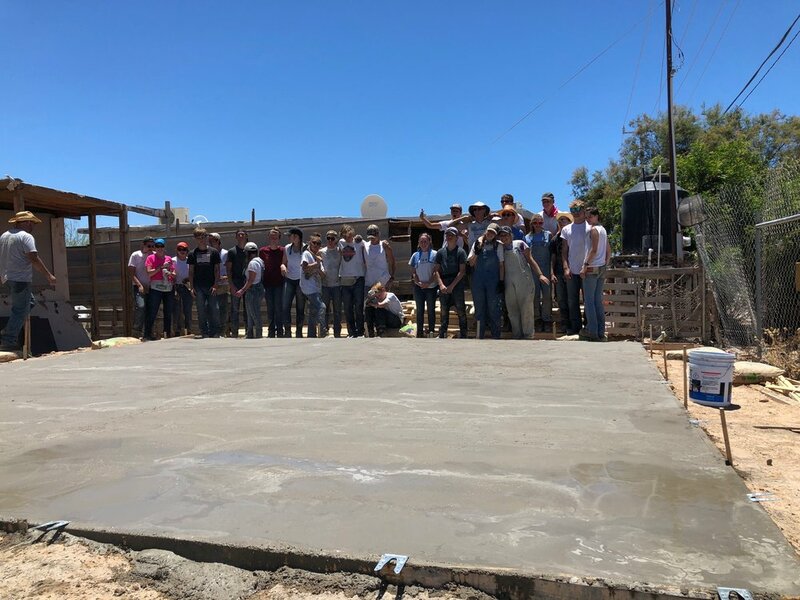 Never before have we finished a double slab before lunch on the first day, but today we did. Not only that but we also got most of our framing done too! It's been an amazing day full of hard work and broken records. Oh, and we had a lot of fun too! These kids are putting in double the effort this year and it's amazing to watch. We are back at the campsite now about to get dinner started. We will play some games and end the night again with worship and a devotional. Pray that tomorrow will be another big day full of hard work and tons of fun! Today was a special day. We woke up casually as the sun rose, had a nice slow breakfast and got our beach gear on. On the way, we stopped at our work site, met the family we are building for and scoped out our tools and materials. We worked with Elizabeth Dominguez, the matriarch of the family, to discuss door and window placement as well as some other additions she wanted. Then we headed over to the beach where we relaxed, swam and stimulated the local economy by getting a lot of temporary tattoos, hair braiding and knick-knacks from all the vendors on the beach. After we were all sufficiently beached out and sunburned, we loaded back up and returned to camp. 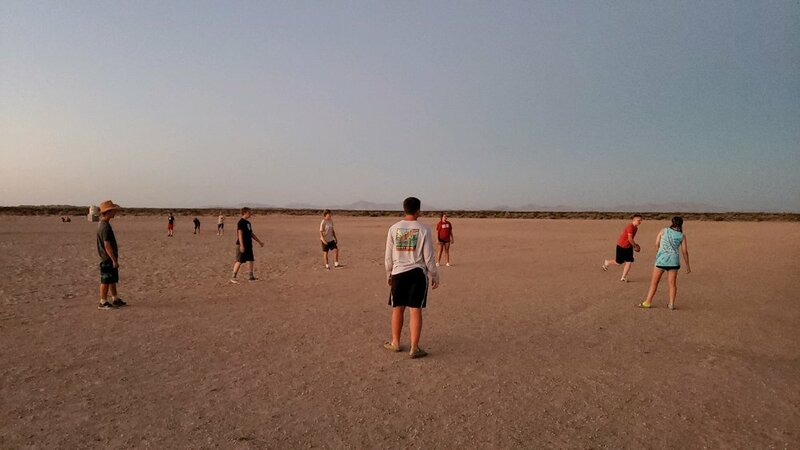 We ate a lovely dinner and played some games in the cool twilight of this beautiful desert. Then we sat around a roaring fire, sang some songs and opened the scriptures together to close out a magnificent day. And now as the sun is rising on our first work day, everyone is anxious to get our hands dirty and start building this house. Here we go! Do you believe in miracles? Here's one for ya: 27 teenagers made it to breakfast on-time at 5:00 AM in Las Cruces, NM beginning day 2 of the Mexico Mission 2018. It's a rainy day, but thankfully the sun was shining for the trailer tire change. Blow-outs are always a possibility, so the team prepares with spares. We were on the road again in a record 12 minutes! We made it! Tents are up and we're ready to get to work! 24 High School students and 8 adult leaders left today for Puerto Penasco Mexico. They started a new tradition this morning. This pic was made in Lipan Texas. Keep them in your prayers this week! UPDATE @ 7:20 PM: Team arrived in New Mexico for the night. Will continue the journey to Mexico bright and early tomorrow morning.